Launch of first ever rapid, objectively-scored GP assessment to differentiate between patients with memory loss due to the earliest signs of Alzheimer’s disease and normal memory loss caused by aging. Cambridge Cognition, a spin-out of the University, announced its plans to launch the General Practitioner (GP) version of their memory test to aid early detection of Alzheimer’s disease. The company markets touch-screen neuropsychological tests , known as CANTAB®, and these have been used in over 500 universities, institutes and hospitals in over 50 countries around the world as well as for research published in over 700 peer-reviewed publications. 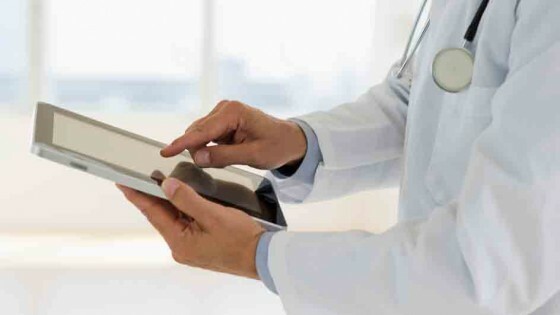 The first mobile-platform version of one of these tests, CANTAB Mobile, will be widely available to GPs in less than a year following successful trials in NHS primary and secondary care settings. The test will allow GPs to triage patients presenting memory problems quickly, simply and accurately. "Alzheimer’s disease generally starts by affecting the hippocampal formation in the brain. This brain area is important for episodic memory, including locating objects in space, such as where you left the car in the car park. Therefore, the earliest way to detect memory problems in Alzheimer’s patients is to assess their episodic memory." Cambridge Cognition is working with a UK Primary Care Trust Commissioning Board to set up a usage trial with a small number of GPs to ascertain how CANTAB Mobile will integrate with – and optimise – current clinical and social care practice. The trial aims to set up a clear pathway of care and minimise the time taken for patients who fail the test to be referred to a specialist Memory Clinic, receive further tests, and receive a full diagnosis and relevant treatment. As part of the trial, a detailed programme of care and advice from local support services will also be given to patients in order to maximise their chances of living independently for as long as possible following diagnosis. Traditionally memory screening is carried out by GPs using a pen and paper test, most commonly the mini mental state exam (MMSE). This is a basic test involving questions such as “Can you tell me today’s date?” and “Spell the word ‘WORLD’ backwards.” The MMSE is subjectively scored – i.e. the GP uses their judgement to score the patient out of 30. The CANTAB Mobile test is a visual memory test, independent of language, proven to differentiate between patients with abnormal levels of memory loss due to dementia and the slight slowing of brain function that is expected in healthy aging. The scoring is automated, ranked against a database of thousands of people, so human error and misjudgement do not affect the patient’s score. Professor Barbara Sahakian, Professor of Clinical Neuropsychology at the University of Cambridge, said: “Alzheimer’s disease generally starts by affecting the hippocampal formation in the brain. This brain area is important for episodic memory, including locating objects in space, such as where you left the car in the car park. Therefore, the earliest way to detect memory problems in Alzheimer’s patients is to assess their episodic memory. Doctors and scientists hope that the new test will speed up diagnosis of patients with early stage dementia, allowing more of them to be treated before the symptoms become acute. The test can be administered by a nurse in a waiting room and will be downloadable as an application for iPad, and other mobile platforms. For more information, or if you are a healthcare professional wishing to take part in the beta-trial, visit www.camcog.com.